Opening Night Tues 1st September – back in Dalkey!!!! Our opening night will be on Tuesday September 1st 2015 so we look forward to seeing everybody and outlining the plans for the year. We are delighted to announce that we are back in Dalkey for this special year and the Harold Boys School on Patrick Street have kindly given us rehearsal space on our usual Tuesdays and Thursday 7.30 pm -10.30. We are actively looking for new members as well as encouraging past members who have not been active with us lately to come back on board. New members does not mean just actors, but anyone interested in Production, Backstage, Lights, Sound, Set building, Costume, Design, Hair and Make up. No experience needed as you will learn as you go. Maybe you just want to be part of a group for the social aspect….the bit of craic at rehearsals and the theatre trips to professional productions as well as supporting all our fellow groups in the locality. 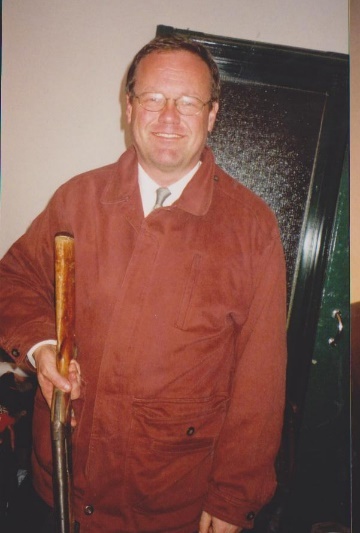 We are delighted to report that Roland Evans, a past member, has published his first book. This is a major achievement as Roland has suffered from Motor Neurone disease for the past five years. He does not let this get in the way of things he wants to do i.e. writing a book and all proceeds go to the Motor Neurone Association. It is available in Dubray Bookshops. Click DP Chronicle 2014-15 to download our 2014 -2015 Chronicle, a review of all the productions and news from our 2014 – 2015 season! 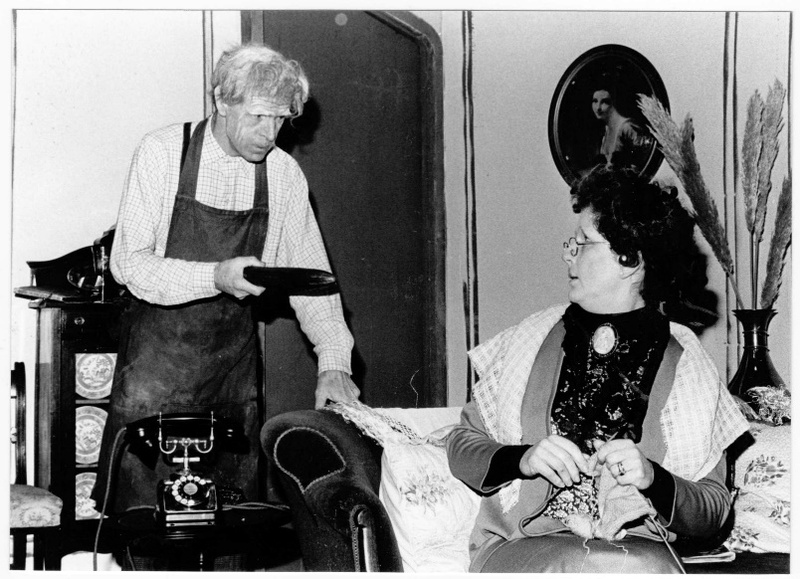 It’s Dalkey Players’ 40th Season!!! 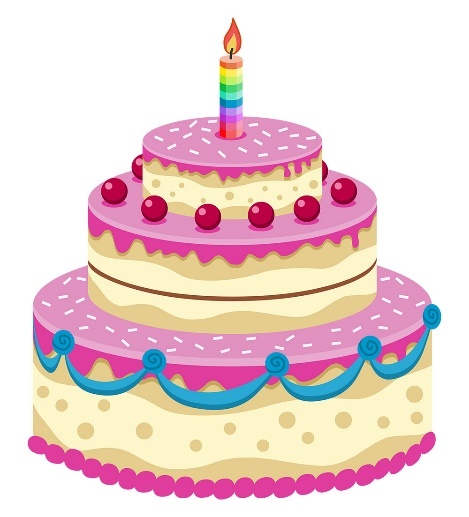 It’s Dalkey Players 40th Season so it will be “Happy Year” to us as we start our 2015-16 Season. Founded in November 1975 our first performance was in May 1976. 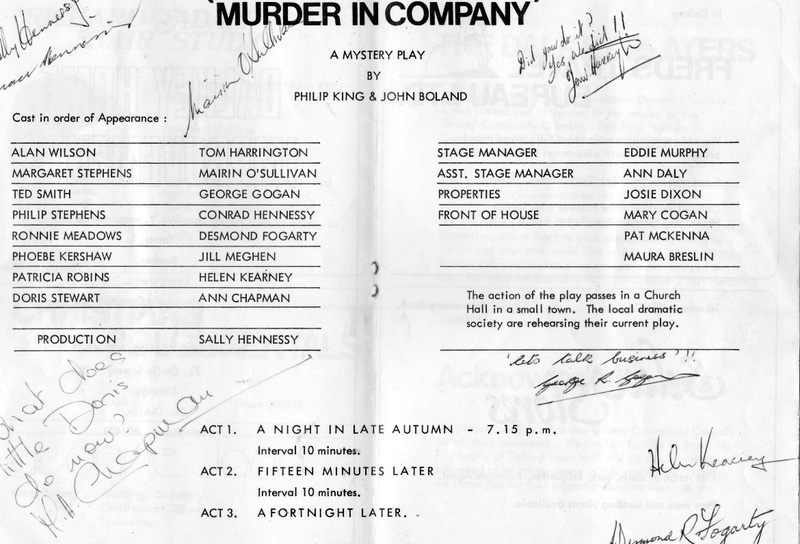 The Play was “Murder in Company,” a mystery play by Phillip King and John Boland directed by Sally Hennessy with our Founder member Josie Dixon doing the Props. Committee members Gerry Clabby, Alan Nuzum, Mary Carroll, Aileen Byrne, Emma Jane Nulty, Emma Mulligan. It seems appropriate in this our 40th year to remember deceased members from recent years, who provided valued services (in diverse roles) to Dalkey Players. Our Wonderful Caroline. Too young to have left us. 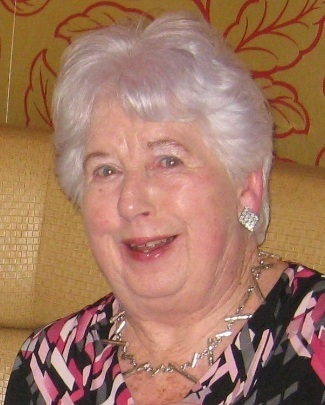 It was with deep regret that we brought you the very sad news that Caroline Hickey passed away peacefully in the afternoon of Monday 25th March 2013 Caroline was a well loved member of Dalkey Players. Her untimely passing has saddened all of us who knew her as a bright, enthusiastic and fun loving friend. Her warm, witty, versatile and moving performances in her many and varied roles have delighted Dalkey audiences. 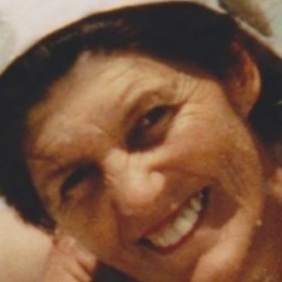 She threw her heart into everything she did, and was a hard working Committee Member for many of those years. To her husband Rónán, her family and her wide circle of friends we extended our deepest sympathy and heartfelt loss at such a sad time. May her gentle soul rest in peace. Thank-you very much to our loyal patrons who generously supported our recent production “Dead Man’s Cell Phone”, which was a great success. We look forward to seeing you at our next production in August 2015. Book now for our upcoming production!! ‘Life Begins’ in Bray….and the Kingston Hotel? Anna Rooney, Mo Hudson, Joanna Troughton, Cyrileen Power & Lua McIiraith are currently applying the finishing touches. The eagle-eyed among you will have noticed that Lua is also acting in the play, competing at this year’s Bray One-Act festival on Thursday 29th, January. It’s rumoured that Lua’s next mission is to sort out the water crisis. Good luck with that. If we don’t see you at the Mermaid Theatre, why not try the Kingston Hotel for a laugh. 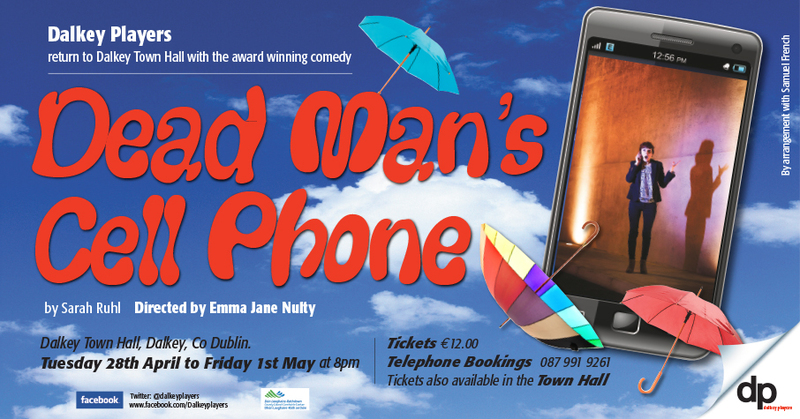 We wish Aileen Byrne and her cast well in what will be a funny and provocative show. Bray Festival Performance – Thursday, 29th January. Booking line 086 8138446 : Click for Mermaid Theatre, Bray booking website. 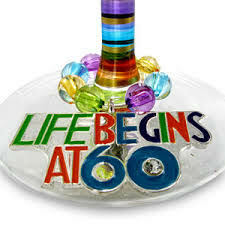 ‘Life Begins at Sixty’ in Bray…. We are delighted to announce that ‘Life begins at Sixty,’ written by our very own Lua McIIraith and directed by Aileen Byrne will compete at this year’s Bray One-Act Festival on Thursday 29th, January. The cast of Anna Rooney, Mo Hudson, Joanna Troughton, Cyrileen Power & Lua McIlraith will warm up with preview performances, currently being scheduled. Details will appear here shortly. Fresh from the recent success of ‘The Year of the Hiker,’ Alieen Bryne re-enters the directing fray with what promises to be an amusing and poignant production. 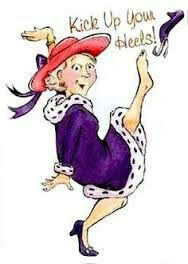 We wish Aileen and her cast well.